It is officially December. I absolutely LOVE this month, and all the coziness it brings. The hot drinks, the cozy nights in, the sparkly lights, it is just all my favourite. The only hard part is we often have the best of intentions to spend the month connecting and taking care of ourselves, but end up feeling busier than usual and slide into the holidays burnt out. There are so many parties to attend, family dynamics and holiday pressures that all those holiday hopes can be deflated by stress. One thing that can help make this season filled with more joy and peace is to make sure your relationship is on track. 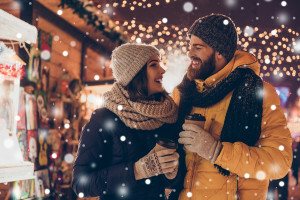 In poking around google, I found this great article about what you can do to help manage stress and have a really connected relationship over the holidays. My favourite was Key 4: Clarify Expectations & Speak Up About What’s Most Important. I feel like even if you just did this one you would find the holidays so much more enjoyable.